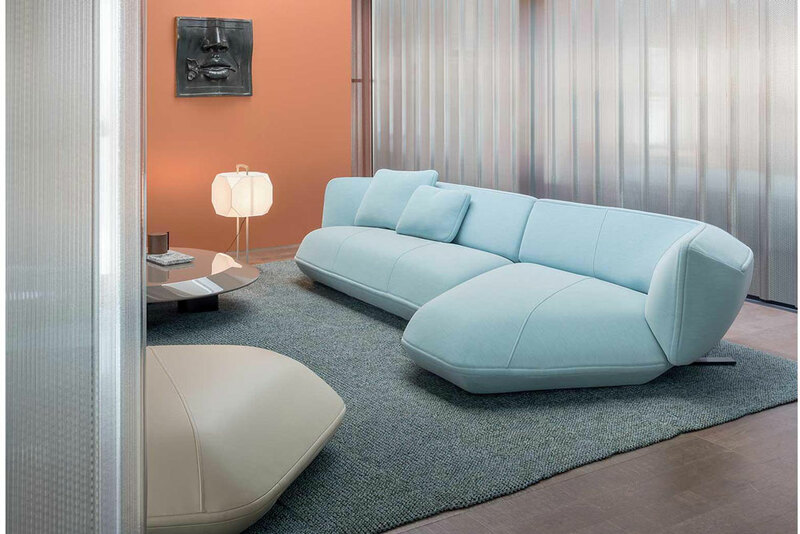 Floe Insel emerged from Patricia Urquiola’s desire to create an unforgettable, versatile modular system, inspired by icebergs, whose sculptural, monolithic bulk floats weightlessly on water. A soft mass, made up of different geometries provided by a play of angles recalls formless blocks of ice. 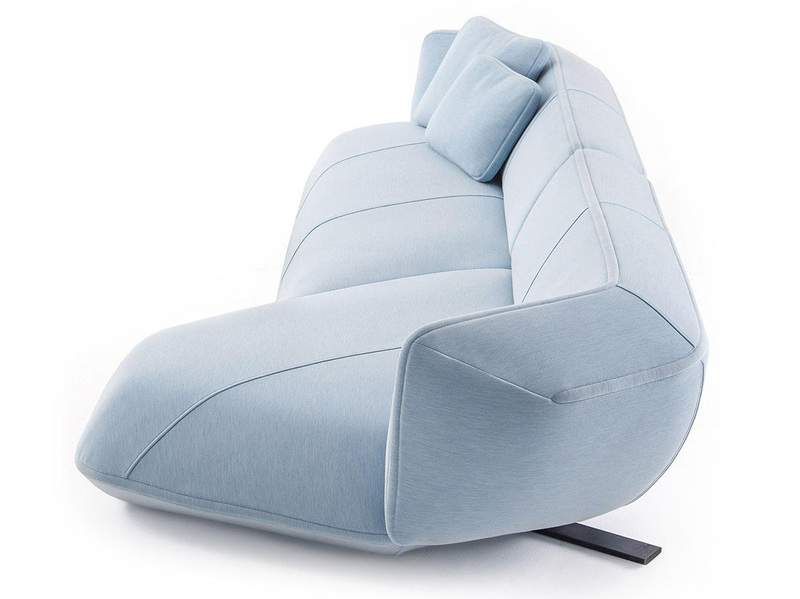 A family of dynamic elements which – through its generous volumes – evokes a classical element, comfort, deriving from in-depth research aimed at achieving the best possible balance between cushion thickness and softness; the careful study of the ratio between elastic belts and the inner gaps in the foam give the seat and backrest cushions the optimum flexibility, without sacrificing their asymmetrical features. 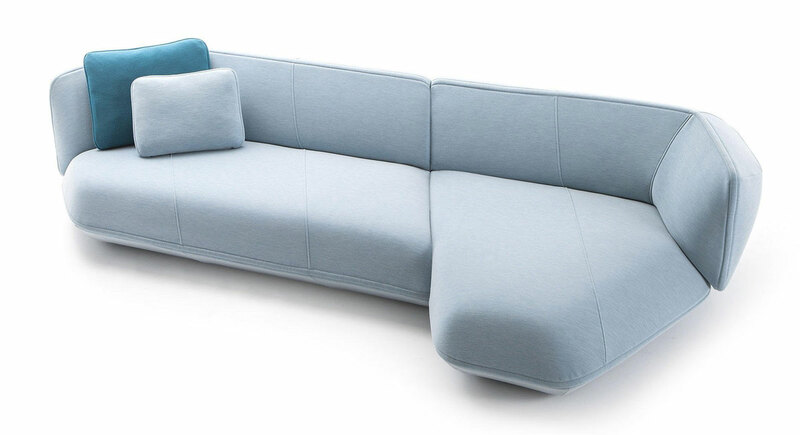 The system comprises a three-seater sofa and a footrest, which can be used independently. 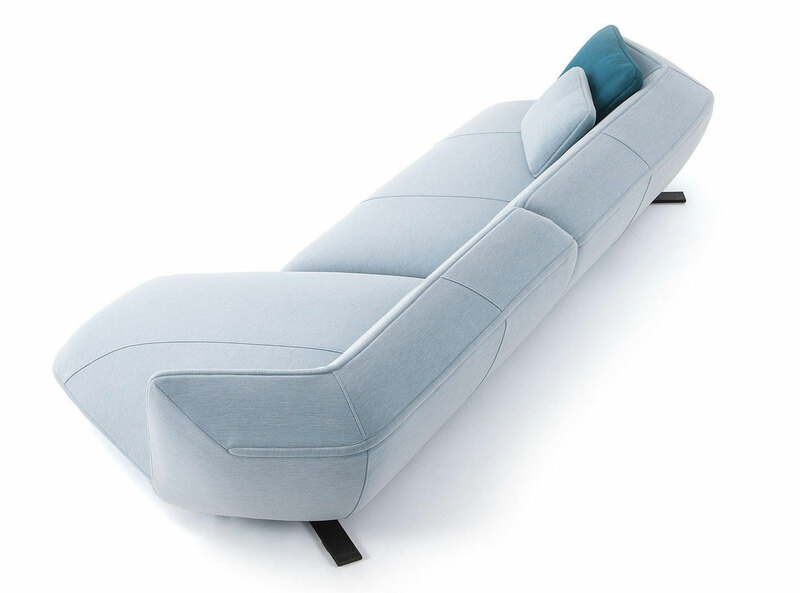 The two end pieces and chaise longue, in two different sizes, can be combined together. Each of the modular elements has an original 25° asymmetrical cut, making it unique and different. 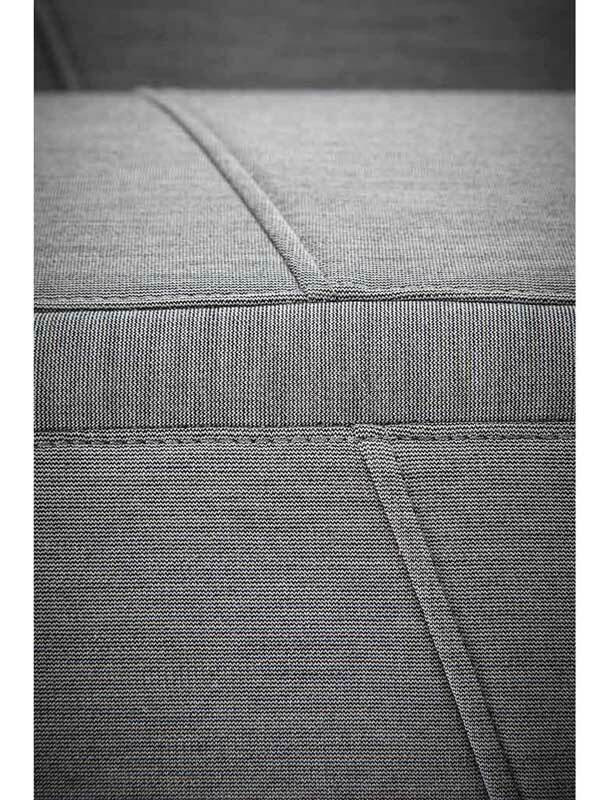 The seat and backrest cushions have horizontal ribbed stitching that emphasise their shape. 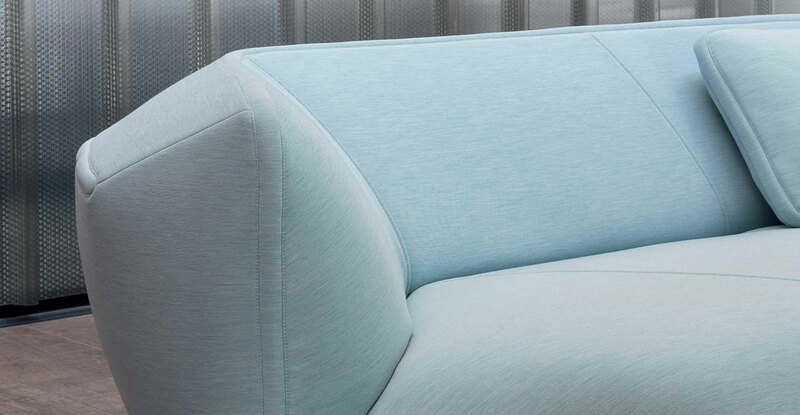 The backrest and armrest cushions are embellished with a padded trim that runs around the edges. 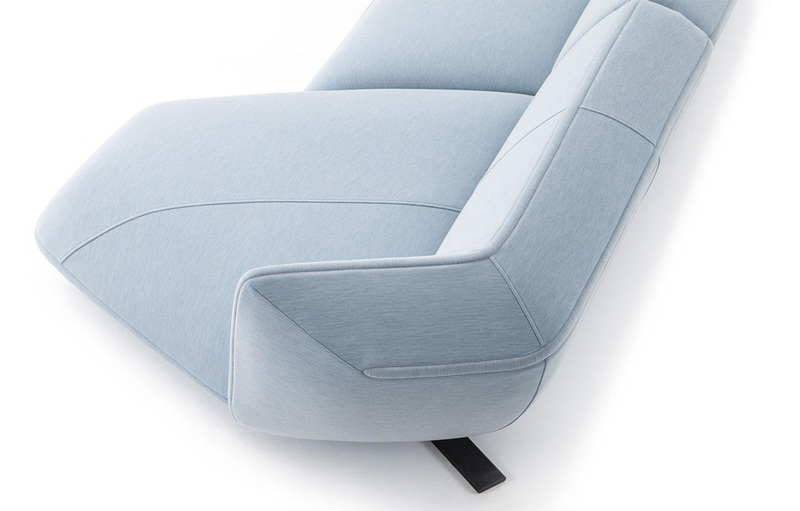 Every element is equipped with a foot, which emerges where the backrest meets the armrest. 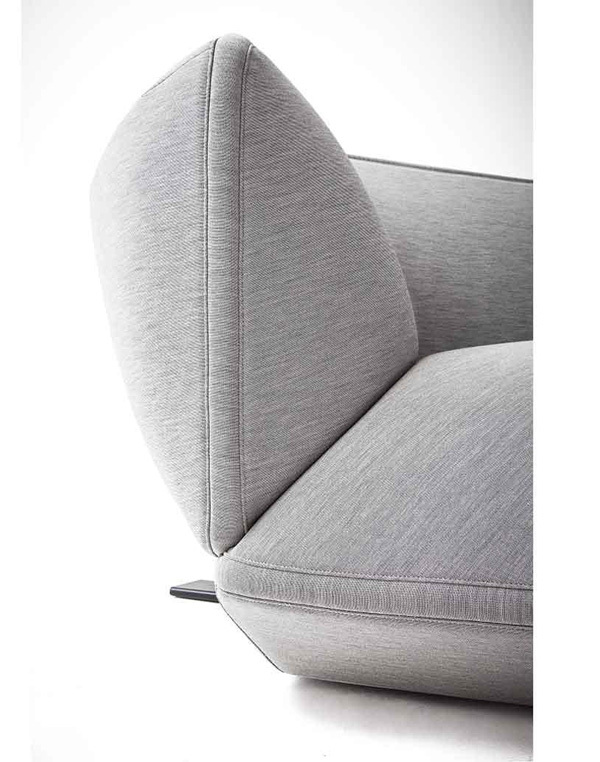 There is also a series of optional cushions in two different sizes (40x50 cm and 50x60 cm) with down padding and upholstery with a special band whose padded trim matches the motif around the edges of the armrest and backrest cushions. • Structure: tubular steel with webbing. 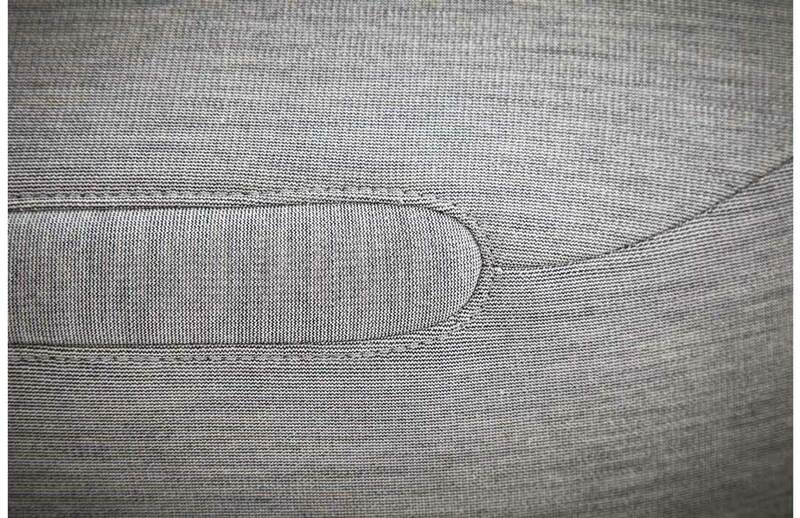 • Padding: CFC-free foamed polyurethane and polyester wadding. • Feet: black lacquered aluminium. 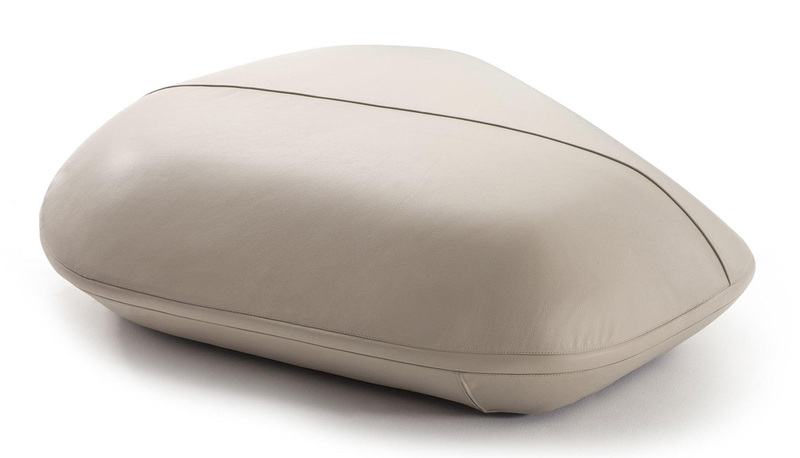 • Removable upholstery in fabric or leather.